Comedy Central stands by Jon Stewart’s replacement Trevor Noah as rightwing sites suggest he has a “Jewish problem.” The real problem is that he is likely to be critical of Israeli militarism. “B’nai B’rith is concerned about the long history of anti-Semitic, anti-Israel and misogynistic tweets by the new choice to host the popular comedy program, The Daily Show,” the organization said in a statement issued Tuesday. “We recognize that the platform The Daily Show provides its host is different from the stand-up comedy circuit, and we are hopeful that Noah will use this new and larger role responsibly on complex, sensitive issues. Noah, 31, who has over 2 million Twitter followers, was a surprise selection for “The Daily Show” post, as is he relatively unknown in the United States. He is a star in South Africa, where he has filmed four standup specials. Noah made three appearances as a correspondent on “The Daily Show” since December before being named host. 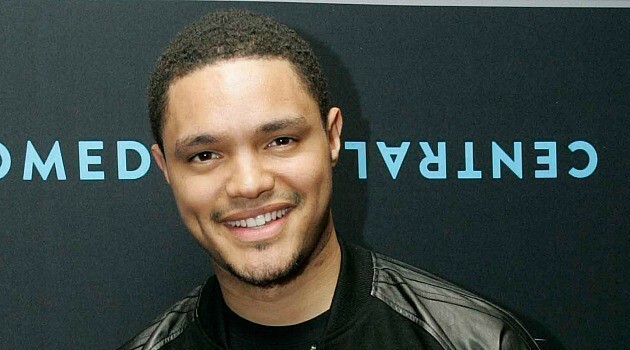 “We welcome Trevor Noah to his new endeavor at ‘The Daily Show’ and wish him success. We need humor — perhaps now more than ever — and we hope that he will build on Jon Stewart’s great legacy,” Foxman said. Some Twitter users, including American comedian Roseanne Barr, criticized Noah for being “sexist” and using anti-Semitic humor. ‘To reduce my views to a handful of jokes that didn’t land is not a true reflection of my character, nor my evolution as a comedian,’ says Trevor Noah. Noah, the son of a black South African mother and a Swiss father, uses his mixed race in his comedy routine and came under fire for jokes he posted on Twitter. NEW YORK – Trevor Noah, the newly announced successor to Jon Stewart on Comedy Central’s late-night news parody “The Daily Show,” defended himself against a backlash arising from past comments he made about Jews and women. “To reduce my views to a handful of jokes that didn’t land is not a true reflection of my character, nor my evolution as a comedian,” the South African comedian said on Twitter on Tuesday. Viacom Inc-owned Comedy Central also came to Noah’s defense, saying the 31-year-old is “a talented comedian with a bright future” at the network. Noah’s tweets prompted comments questioning how wise a choice he is to succeed Stewart on “The Daily Show,” which averages slightly more than one million viewers each night. JOB OPENING: CAN YOU FIND THE ANTI-SEMITE? If not, do you have enough imagination to create one? America’s foremost expert on both of the above is finally stepping down from his position as Director of the ADL. 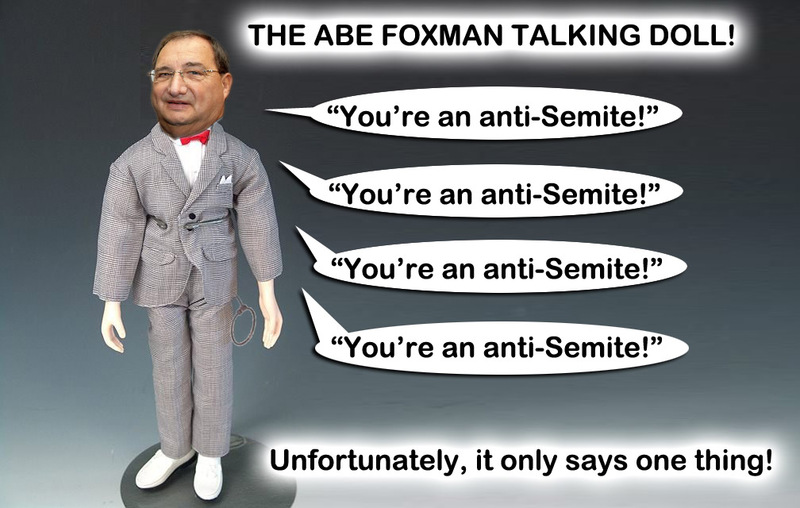 After 50 years, Abe Foxman has had enough. The rest of America had enough of him at least 49 years ago …. The salary is a good one plus frequent flights to the Holy Land to confer with fellow hatemongers. 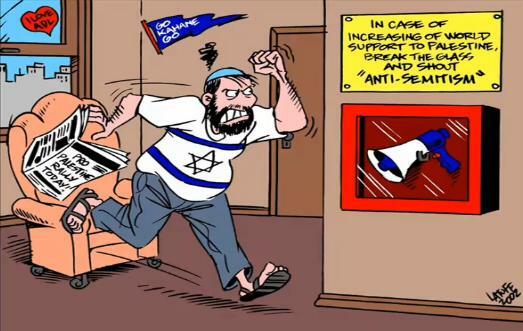 Foxman said the cartoon was a reflection of what he alluded to as the magazine’s untrustworthy reporting on Israel. 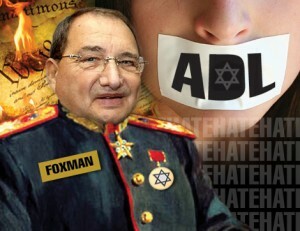 Abe Foxman demands apology after magazine sparks outrage with caricature implying Jewish control of US government. The Anti-Defamation League has demanded a “full-throated apology” from British-based magazine the Economist for its use of a cartoon that elicited complaints of classic anti-Semitic tropes. The cartoon, inside an article on Iran’s nuclear program, depicts US President Barack Obama shackled to Congress, represented by the Congressional seal, while reaching out to Iranian President Hassan Rohani, who himself is being held back by the ayatollahs and militants burning the American flag. The Congressional seal is based on the United States’ Great Seal, and, as shown in the cartoon, includes bald eagle clutching arrows in one talon and an olive branch in the other. The actual seal includes several stars around the border, which also appear in the Economist cartoon. 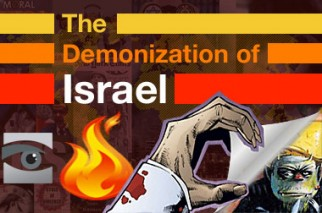 What does not appear on the seal – but does in the cartoon – is a Star of David, implying that Congress is controlled by Jews with a pro-Israel agenda. The ADL director accused the Economist of giving prominence to centuries-old anti-Jewish stereotypes. 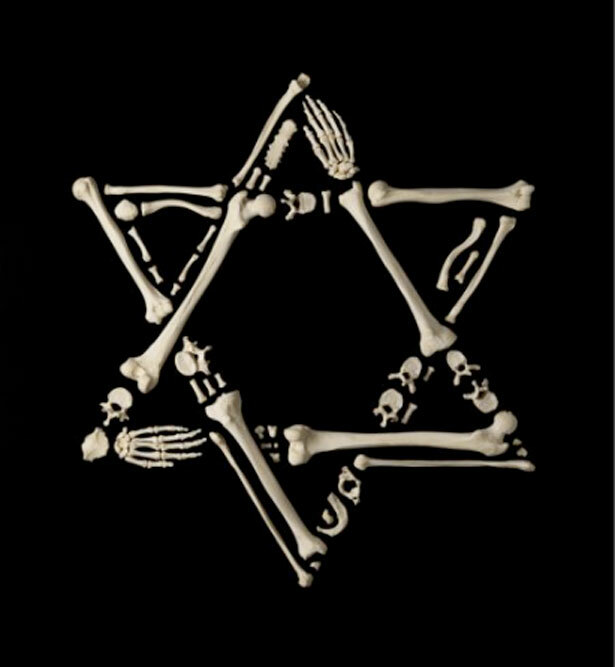 “This was nothing less than a visual representation of the age-old anti-Semitic canard of Jewish control. And it conjures up yet another classic anti-Semitic myth — the accusation that Jews have “dual loyalty” and will act only on behalf of Israel to the detriment of their own country,” he wrote. 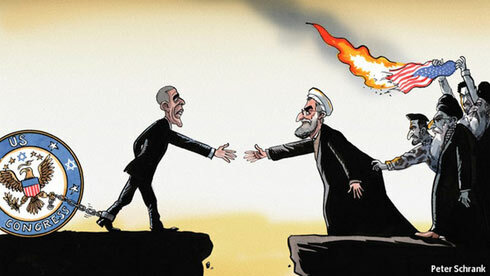 The magazine has removed the caricature from the article itself, replacing it with a split image of Obama and Rohani. Nonetheless, it remains in a prominent location on the website’s Middle East page. A year later, at the height of the intifada, the Independent newspaper published a cartoon of then-prime minister Ariel Sharon, in which the late Israeli leader was depicted eating a Palestinian baby. 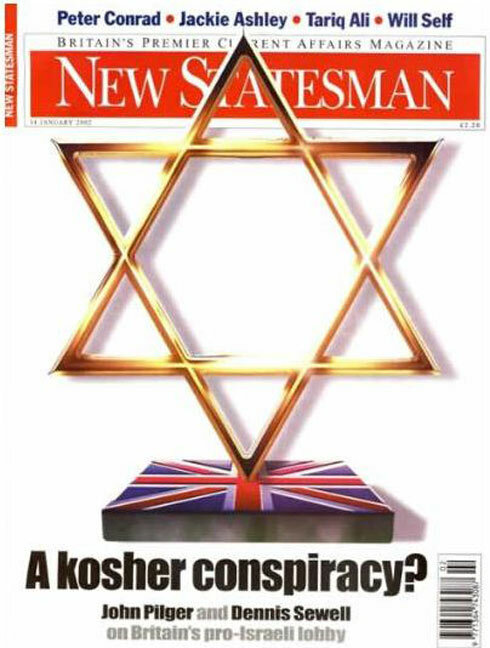 Britain’s Press Complaints Commission cleared the newspaper of anti-Semitism, after numerous protests from Israel and Jewish organizations who said the image invoked the ancient anti-Semitic blood libel. 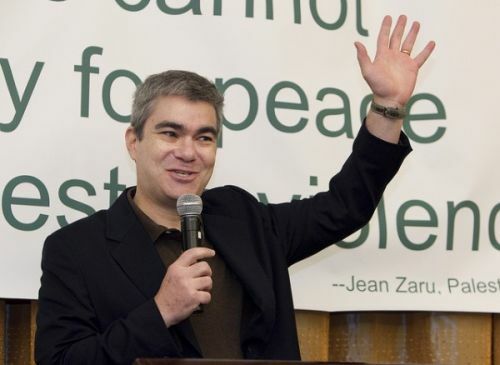 Sullivan, a professor of international affairs and the director of the university’s Middle East Center for Peace, Culture and Development, is perhaps Americans for Peace and Tolerance’s most consistently attacked individual due to his support of a one-state solutionin Israel-Palestine, and his criticism of Israel’s apartheid policies. Alam, an economics professor, has has also been subjected to a series of publicationsand videos by Americans for Peace and Tolerance. 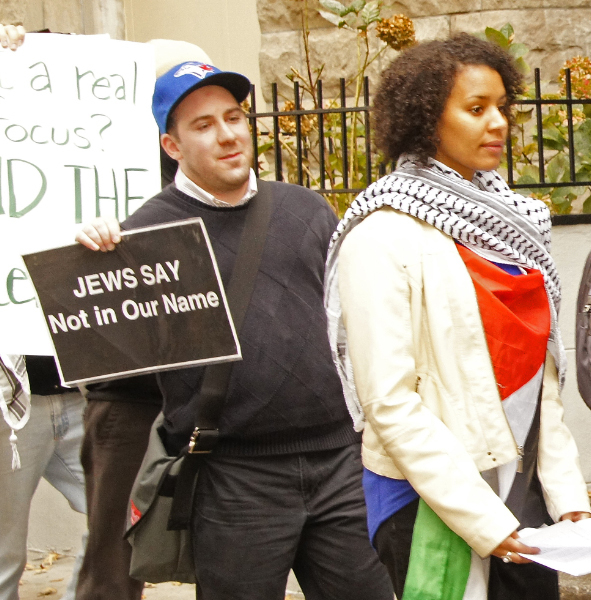 He has been vilified for his participation in Students for Justice in Palestine’s 2012 Israeli Apartheid Week — a series of Palestine awareness-raising activities and events held each year in universities around the world — and other declarations of support for Palestinian liberation. Jews place a strong emphasis on the importance of family life (78%). 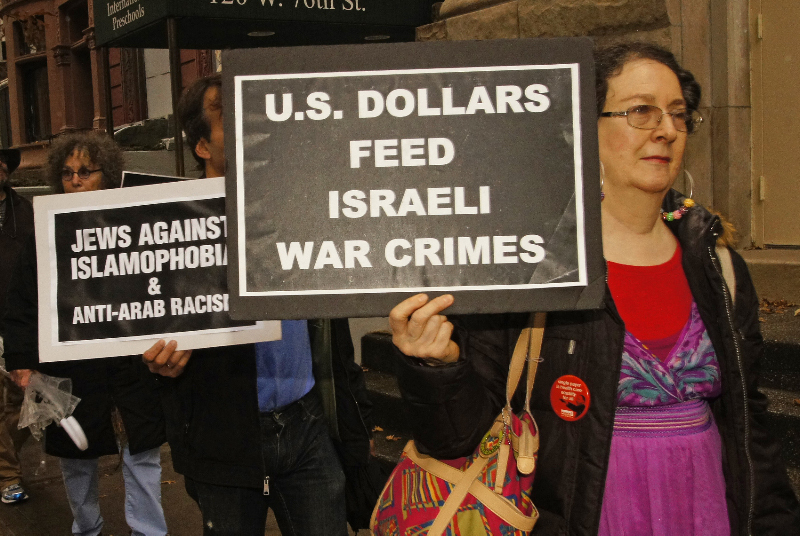 On the occasion of its centennial, the latest Anti-Defamation League (ADL) survey of the American people found that 12% of Americans harbor deeply entrenched anti-Semitic attitudes. This marks a 3% decline since the League’s previous poll on anti-Semitic attitudes in 2011. 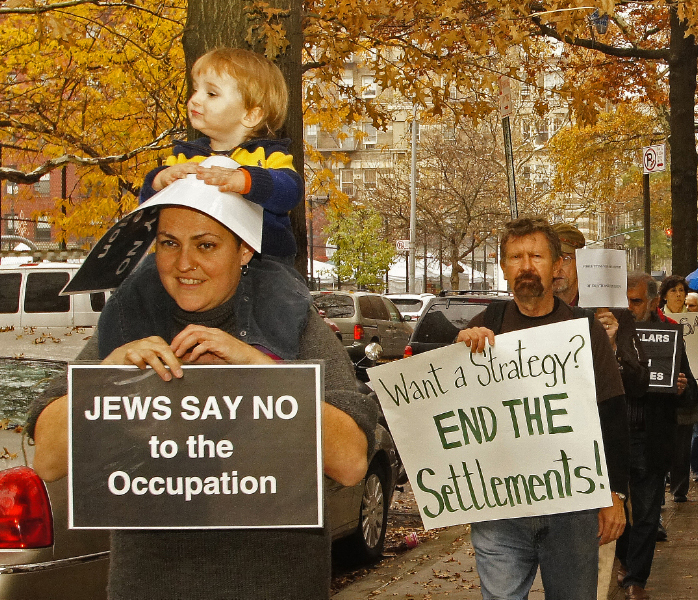 The 2013 Survey of American Attitudes Toward Jews in America, a national telephone survey of 1,200 adults, was conducted October 12-22 by Marttila Strategies of Washington, DC and Boston. The margin of error is +/- 2.8%. The ADL poll measured anti-Semitic propensities using an 11-question index developed by ADL nearly 50 years ago. The first poll, issued in 1964, found that 29% of Americans were infected at the time with anti-Jewish attitudes. 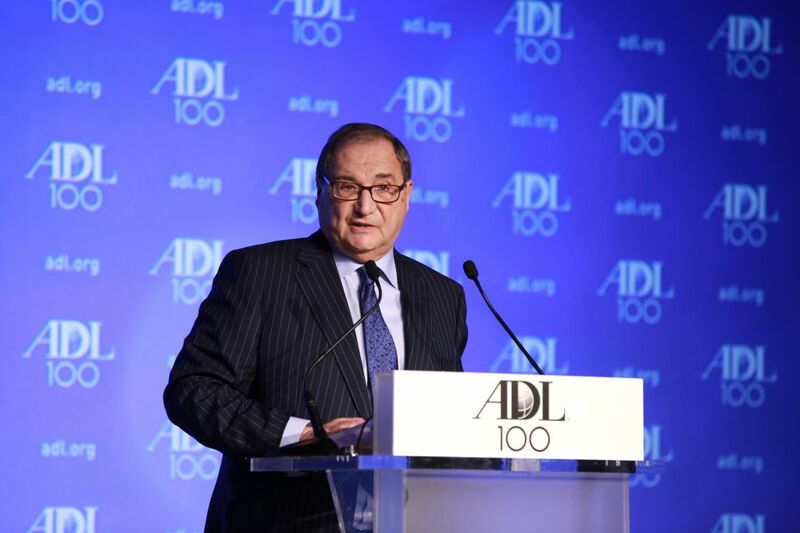 “It is heartening that attitudes toward Jews have improved over the last few years and, historically, have declined significantly in America,” said Abraham H. Foxman, ADL national director. “On the occasion of our centennial it causes us to take a broader perspective, to appreciate how far we have come in 100 years. 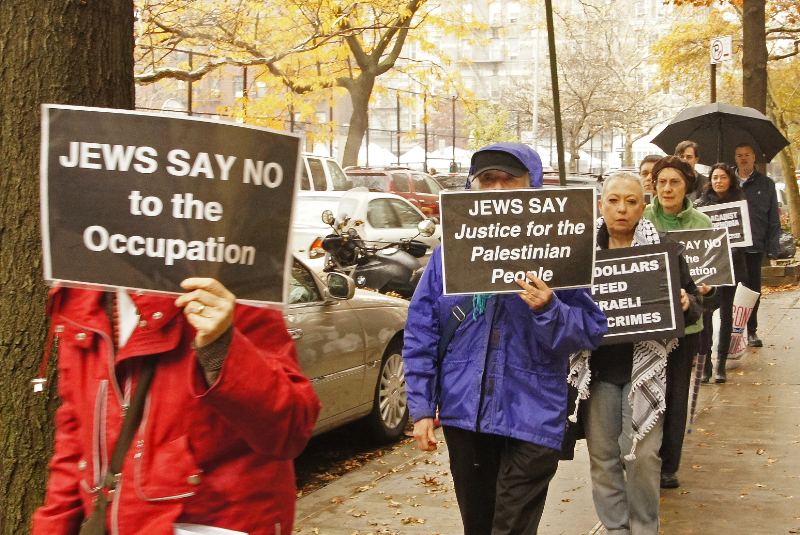 Fourteen percent agreed with the statement that “Jews have too much power in the US today” (unchanged from 2011). 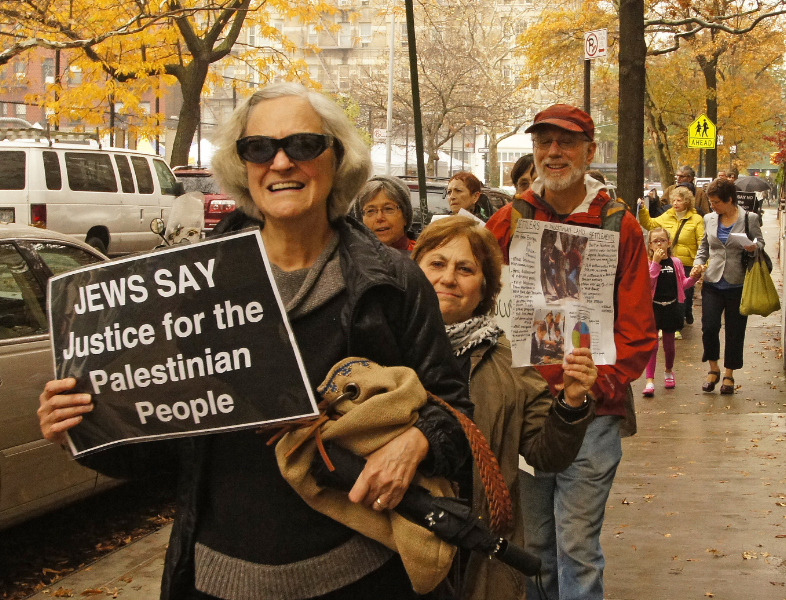 Thirty percent of Americans continue to say that American Jews are “more loyal to Israel” than to their own country, America (unchanged from 2011 and 1964). Nineteen percent of Americans believe Jews have too much power in the business world, nearly unchanged from the 20% who agreed with this statement in 2011. Seventeen percent say that Jews have too much control on Wall Street, a slight decline from 19% answering “true” to that statement in 2011. 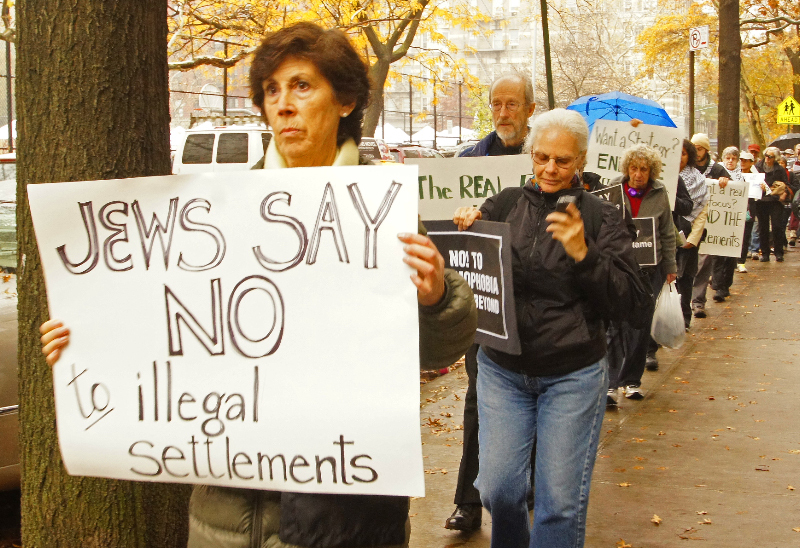 Fifteen percent agreed that Jews are “more willing to use shady practices,” unchanged from 2011. A surprisingly large number of Americans continue to believe that “Jews were responsible for the death of Christ.” Twenty-six percent of Americans agreed with that statement, down from 31% in 2011. Eighteen percent say that Jews have too much influence over the American news media, and 24% agreed that the movie and television industries are pretty much run by Jews. “The poll shows that while we have made great progress in promoting understanding in American society, the most enduring anti-Semitic canards continue to hold sway among some segments of the American public,” said Foxman. 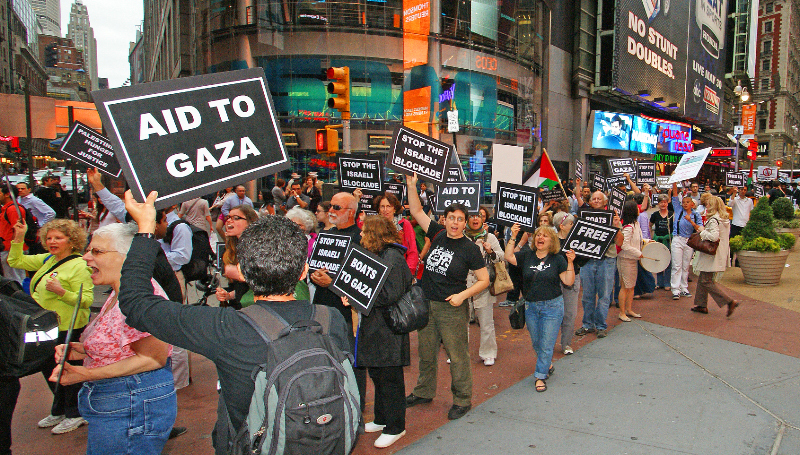 “Disturbingly large numbers of Americans continue to hold fast to the classic anti-Semitic canards. 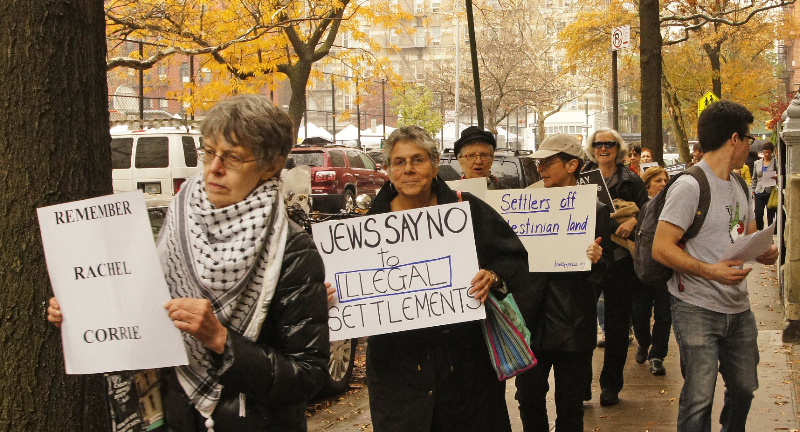 “It is particularly frustrating that since 1964, 30% of Americans have consistently believed that Jews are more loyal to Israel than to their home country of America. This dual-loyalty charge has tenaciously persisted despite the sweeping demographic changes that have taken place over the past 50 years. As in previous surveys, the most educated Americans are largely free of prejudicial views. Less educated Americans are more likely to hold anti-Semitic views. Age is also a strong predictor of anti-Semitic propensities. Younger Americans – those under age 39 – are remarkably free of prejudicial views. Hispanics: Once again, Hispanic Americans born outside of the US are significantly more likely than Hispanics born in the US to hold anti-Semitic views. According to the survey, 36% of foreign-born Hispanics hold anti-Semitic views, as compared to 14% of US-born Hispanics. Those findings represent a welcome decline from 2011, when 42% of foreign-born Hispanics, and 20% of US born Hispanics held anti-Semitic views. African-Americans: For many years, anti-Semitic views among the African-American have remained consistently higher than the general population. 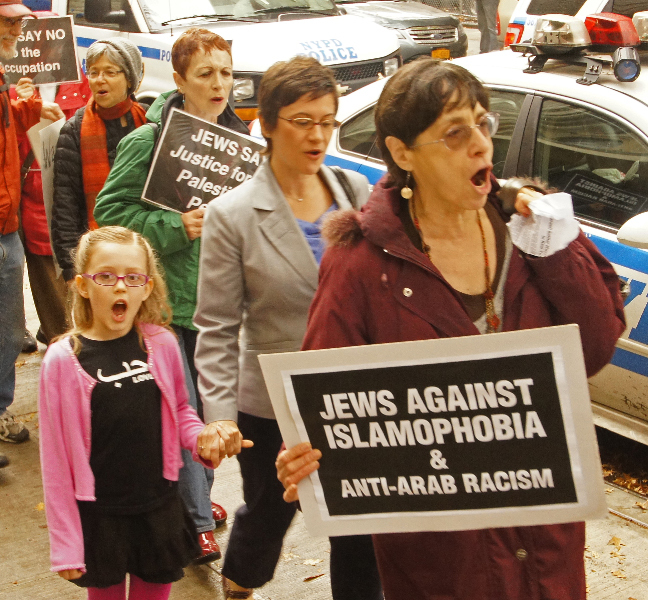 In 2013, 20% of African-Americans expressed strongly anti-Semitic views, an encouraging decrease of nine percentage points from the previous survey in 2011. The survey was conducted with a base sample of 1,200, plus an over sample of 281 African-Americans and 199 Hispanics, bringing the over sample for both communities to 400 each. For those questions answered by all 1,200 respondents, the survey results have a margin of error of plus or minus 2.8%. For many questions, the survey used the technique of “split sampling,” a process in which the 1,200-person sample was split into two demographically representative national samples of 600 respondents each or three demographically representative national samples of 400 respondents. For those questions that were answered by 600 respondents, the survey has a margin of error of plus or minus 4%. For those questions that were answered by 400 respondents, the survey has a margin of error of plus or minus 4.9%. I have no attitude towards Jews. I do not group or categorise human beings in that way. I know many people who are Jewish, I have many very close friends who are Jewish, my two Grandsons are Jewish. I also have many friends who are not Jewish, who are Christian, Moslem, Buddhist, Agnostic, whatever, they are my friends, and I love them, their faith or lack of it is irrelevant to me. Thank you for your letter. I will try to address the points you make, in the order that you make them. With the general proviso though, that I am wary of, and wearied by any form of slanging match. I think I note a change in A.D.L.’s position on my work, but it is not clear. 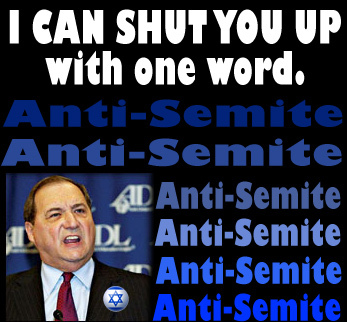 Are you accusing me or my work of anti-Semitism or not? 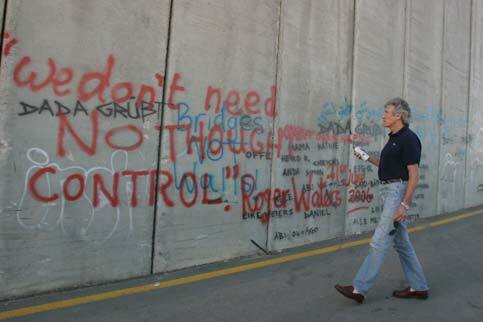 For the record I am not anti-semitic, neither is my theatrical piece The Wall and nor are any of the props, puppets or projections in that work. You are right in saying that I have attacked The Israeli Governments’ policies in Gaza, the West Bank, and in Israel itself. 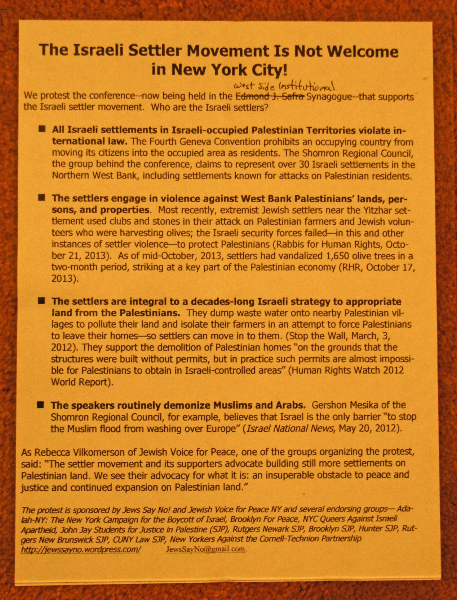 You are wrong in your conclusion that my criticism of the policies of the Government of Israel requires the A.D.L. 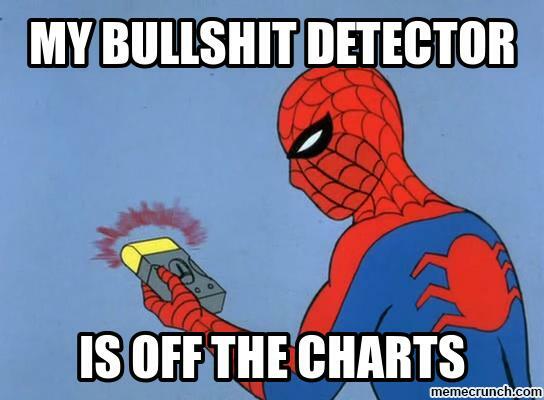 to “reexamine your attitude towards Jews”. I do however have an antipathy to racism and bigotry, I have no time for racists or bigots whatever their religion or their race or their politics or the color of their skin. Your point about the right of Palestinian refugees to return is well taken, it is, as you say central to the B.D.S. position. The refugee’s right to return is enshrined in Article 13 of The Universal Declaration of Human Rights and The Fourth Geneva Convention and in UN resolution 194. This fundamental human right is a founding stone upon which the possibility of a civilized future for mankind rests. You are wrong, however in your assertion that B.D.S. requires a single bi-national State. The B.D.S. 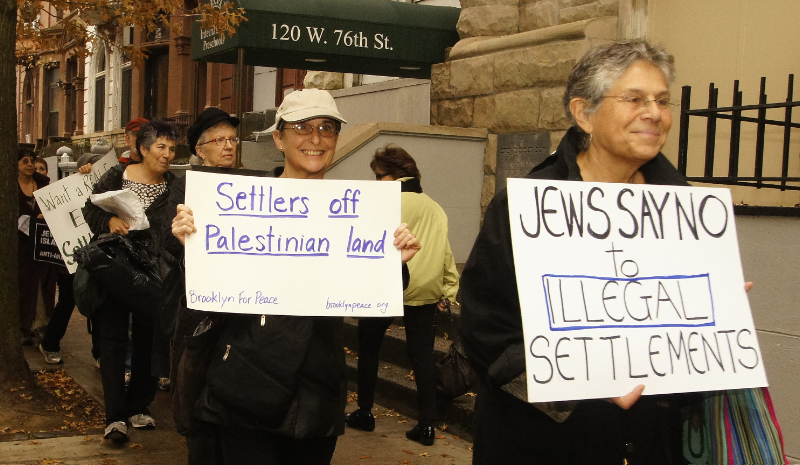 movement is open to a two State solution, the whole point of B.D.S. is to encourage any peaceful solution that guarantees equal rights to all the people regardless of race or religion. Is your position that the refugees should not be allowed to return? Should the refugees remain refugees forever? How would you feel if the boot was on the other foot? You are in a better position than most to understand the enormity of The Nakbah having been through a diaspora of your own. 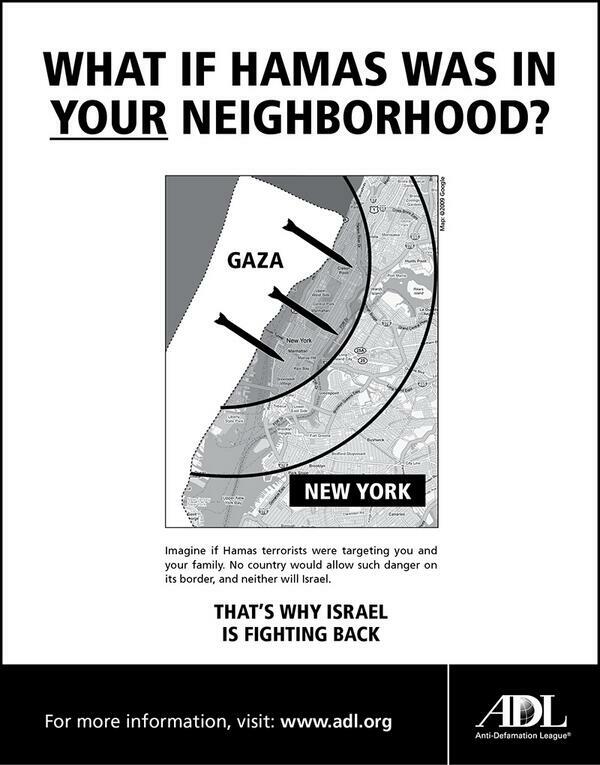 Turning now to Hamas; Hamas does not “continue to advocate Israel’s destruction”. The charter you quote is out of date. On December 1st 2010 Hamas Leader Ismail Haniyeh stated, “ We accept a Palestinian state on the borders of 1967, with Jerusalem as its capital, the release of Palestinian prisoners, and the resolution of the issue of refugees” In February 2012 Hamas forswore the use of violence. I wish my claims as to the ethnic cleansing of East Jerusalem were “frivolous”, sadly they are anything but, I direct you to two pieces of corroborative evidence, 1)Roadmap to Apartheid 2012 a documentary film by Ana Nogueira a white South African and Eron Davidson a Jewish Israeli. 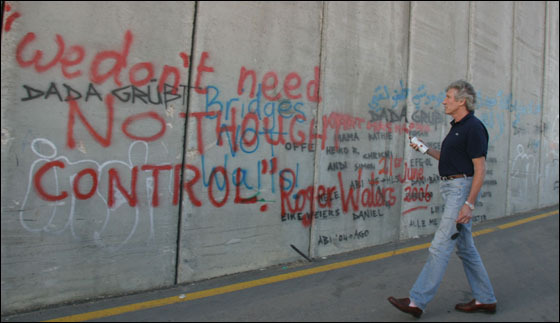 And, 2) Extreme Rambling, Walking Israel’s Separation Barrier. For Fun. 2011 by Englishman, Mark Thomas. Your question about singling out Israel for a cultural boycott is an interesting one. I equally deplored the occupation of East Timor or The Western Sahara, but one cannot take up cudgels for every just cause, if one tried to one would be spread too thin, so to speak. Also B.D.S. 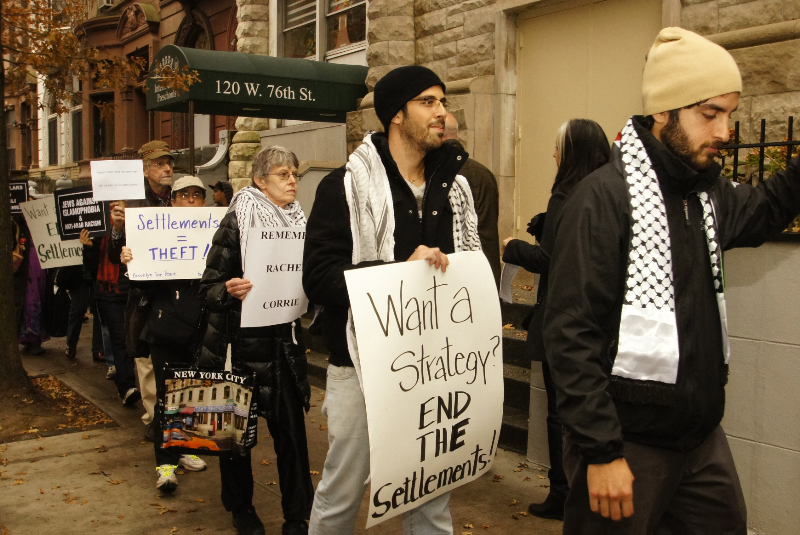 had already started in Palestine, so I joined an existing movement of people who were organized and proposing a non violent method of resistance to the occupation and inequality of Palestinian Israeli citizens civil rights. Having said that, I do also support organizations like Amnesty International and Human Rights watch which try to focus on all human rights violations and abuses where ever they may occur. I haven’t been everywhere, so there’s a lot of bad stuff going on that I haven’t seen with my own eyes. I do absolutely agree with you that I should speak out as often as possible against all abuses of human rights. As a matter of fact everywhere we perform “The Wall,” I speak in the local language and dedicate the Wall Concert to All The Victims of State Terrorism All over The World. Finally, I notice you couldn’t resist the little anti-semitic dig at the end of your letter. Just to reiterate my position, I am anti-war, anti-apartheid, anti-racist, pro human rights, pro peace and pro self-determination for all peoples. 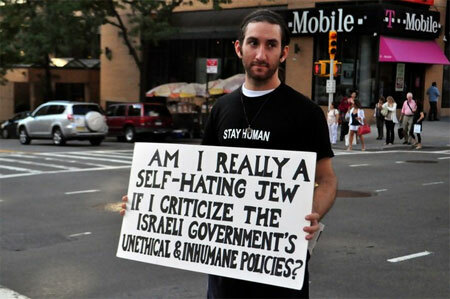 I am not anti-Israel or anti-semitic. I am also passionately pro dialogue and thank you for taking the time and trouble to share your thoughts with me in this open letter. You speak of a Two State Solution, and although I know you don’t represent the Israeli Government, you do represent a point of view, and I should be most interested to hear what you think such a solution would look like, both geographically and demographically. Where would you think it just and equitable to put the borders between two such states, and who would live where? Given the continuing policies of occupation, colonization and settlement building in the West Bank and the siege of Gaza, it is very difficult for any neutral observer to imagine that the Israeli Government is serious in moving towards an equitable two state solution. However, It maybe that there is a glimmer of light this week. We are assured by John Kerry, Secretary of State for Barack Obama that peace talks are taking place in Jerusalem. These are secret talks so we don’t know who is having them or on behalf of whom, but, should those talks bare fruit and a just and equitable peace break out, then it will be time to tear down the walls and picket lines, end the boycotts, clamber disheveled over the barricades and join the people in the streets. I will be there with every musician I can muster.